A SILVER GLITTER POWDER PAINT TOPCOAT IS AVAILABLE ON MOST OF THE BASIC COLORS AT NO EXTRA COST. 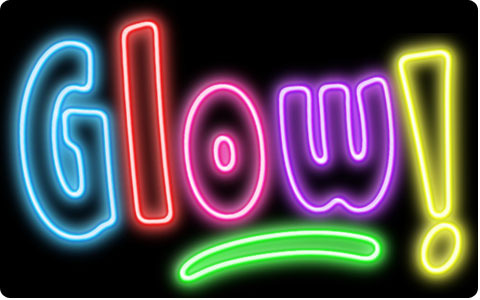 SUPER GLOW IS AVAILABLE IN SUPER GLOW WHITE AND SUPER GLOW ORANGE. Now you can use the sun's energy to fish! The new SUPER GLOW finish, available in Super Glow White or Super Glow Orange, charges in the sunlight and glows in the dark. The intensity and length of the charge will amaze you (and more importantly the fish!). The SUPER GLOW finish is so bright you will swear they are lit from within. Just imagine how dark it is thirty feet down in a clear lake, much less a stained or muddy one. Now, not only can the fish sense/hear the spinning blade of a Humdinger, they can home in on the lure by sight from farther away, even in pitch black darkness! After a lot of testing with SUPER GLOW, I found that white and orange were the colors that glow the brightest and lasted the longest for me. These colors are now available to you!